For the love of teaching. This is one of the reasons why you probably went into the teaching field. Because you love it. You love teaching students and making an impact in their lives. Nothing beats that look on a kid’s face when the light bulb finally turns on. Or that warm feeling you get when a student says the most heart-warming comment to you. And though you love teaching, you may not love your paycheck. Or maybe you do. Either way, I think we can all agree that being that we are thankful that God gifted us to educate. We are thankful to have a steady job with income coming in, right? Well whether or not you love your paycheck, I believe there is a key to managing it in the best way possible. 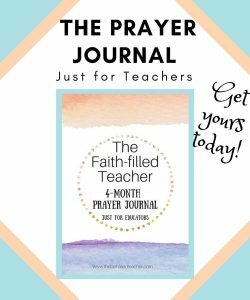 Keep reading to explore what I believe is God’s best for our managing your teacher’s salary. The subject of money among Christians, in general, can be kind of touchy. There are a lot of questions that can come up and people often have very different opinions about how God says we should handle money. 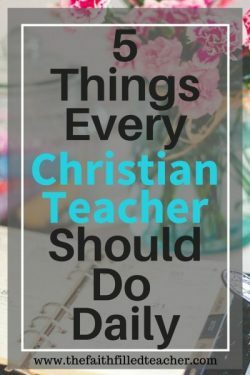 But in order to properly manage your teaching paycheck, you must first understand the role money plays in the life of a Christian. Understanding the role of money in your life as a Christian begins with understanding the relationship between God and man. God created us to have fellowship with Him and have dominion over all the things on the Earth. Psalm 8:6 (AMP) says, “You made him to have dominion over the works of Your hands; You have put all things under his feet.” This scripture right here explains that God created us to have dominion over all He created. Now, when you really think about the magnitude of what this scripture says, it is AMAZING. Think about it. God Himself, creator of the universe gives us (mankind) dominion over all creation here on the Earth. So you, my friend, as a born-again Believer, are a manager over all God’s creation. Let’s go a little deeper. God created the Earth and everything in the Earth belongs to Him, including money. So in short, we are also managers over the finances that God gives us. Since God is the creator of all things, then God is our ultimate source. 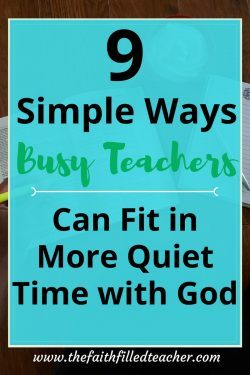 Yes, your district pays your teacher salary every month, but ultimately, it is God who is the source through which your needs are met. Your job is not your ultimate source, it’s just a tool that God uses to funnel resources to you. No longer refer to yourself as a mere human being, nuh uh. Your new title is: [insert first and last name here], manager of God’s goods. That is a pretty important job when you think about it. God himself is giving you charge over something that belongs to Him. So now that we understand that we are managers of God’s goods (our paychecks). What can we do to please God with our money and manage that paycheck….like a boss! Well, the answer to that question is actually pretty simple. BUDGETING. Not just any budgeting, but zero-based budgeting. If you don’t know what that is, I’ll explain more about zero-based budgeting in a minute. Budgeting is such a simple concept, yet one that many do not put into practice. Budgeting simply means that you are making a plan for your money. And remember, according to Psalm 8:6, we are managers of our finances. So when you budget your money, you are proving yourself to be a good manager, or steward, over your finances. Not too long ago, I was in the dark about the power of a good budgeting routine. In my household, we would get paid, pay bills, give, and so forth and so on. We’d make it fine every month, and we kind of wrote down what our expenses were, but we had no REAL plan for our money. A little while back I stumbled upon some personal finance channels on Youtube and it was then that my eyes were opened to the power of budgeting and true money management. 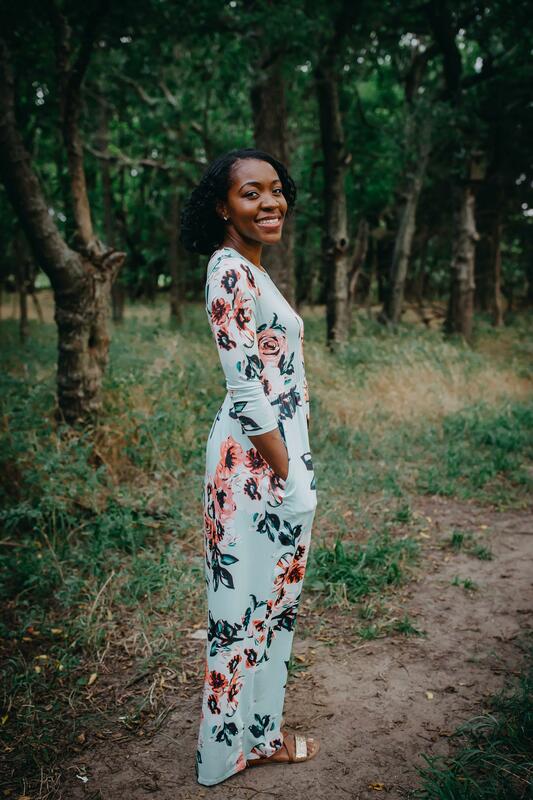 Doing a monthly budget and gaining knowledge about the role of money and debt in our lives is what it took to launch us to start on our debt free journey. In the first 20 months of our journey, we paid off a little over $26,000 in debt! Without budgeting and making a plan for our money, the $26,000 that we paid off in 20 months would have taken YEARS to pay off. Now with zero-based budgeting, you take your total income for a pay period and designate every dollar to a category until you get down to $0. So basically each dollar of your income has a job to do. Just think of it as NDLB…No Dollar Left Behind. (You see what I did there). There are tons of benefits to being a good steward and managing the funds that God has given you. The Word of God tells us in Proverbs 22:7, that the borrower is slave to the lender. When you owe someone money, whether that be an individual or a credit card company or a loan provider, you are really a slave to that company until you pay them back every penny you borrowed. Think about it, debt is like a carrying around a weighted backpack. Every time you sign up for more monthly payments of any sort you are adding another brick to that backpack. Then you carry around this backpack of weights until you work hard enough to pay back what you owe. I don’t know about you, but when I wake up in the morning and go to teach my students, I’d like to think I’m earning a paycheck that I’m in charge of. But when you’re in debt, you are really waking up each morning and going to work for the lender you’ve borrowed from. You’re working your tail off and then when you get your paycheck you are cutting a slice of it off and giving it right to someone else. As Christians, we should be working to get out of debt. I really believe that that is God’s plan. But you can’t get free from your debt if you don’t first have a plan for your money. 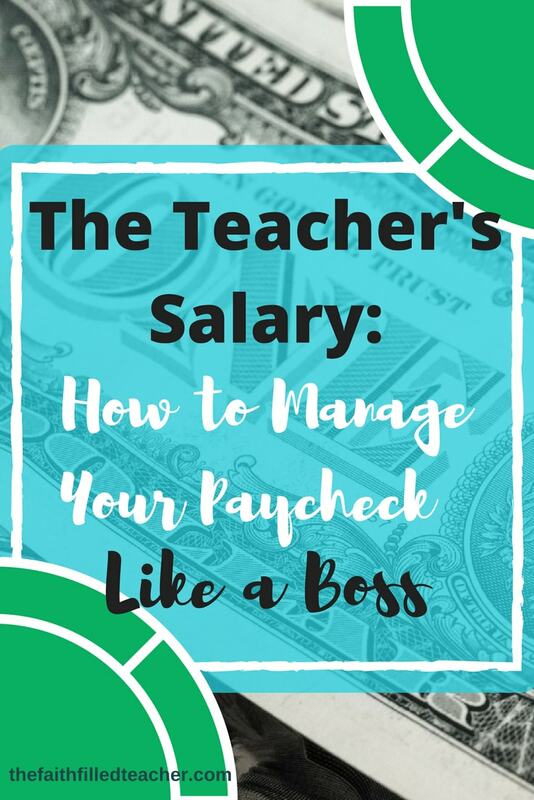 So, remember, you are not only to manage a classroom full of students, you are to manage the finances you are receiving each pay period. Make a plan for your money, and do it before you actually get paid. There is power in a written budget. I challenge you to pray about your finances and seek God about the best way to manage your money. And, if you haven’t thought about what your life would be like without monthly debt payments, take some time to think about what freedom that would give to you and your family. How much more would you be able to breathe each month? Would you be able to give more freely? What about some guilt-free splurging on yourself or your family? Think about it. If you have no idea where to start with budgeting and money management, I highly recommend you read Dave Ramsey’s The Total Money Makeover. It all starts with your mindset. And this book will help you change your mindset about money. 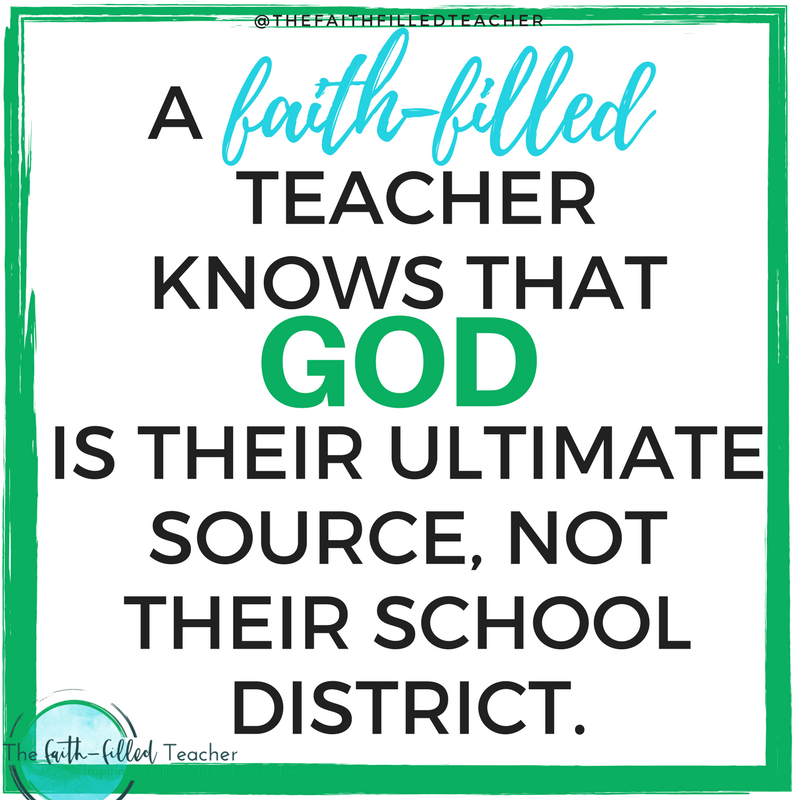 God is your ultimate source, not your school district. You are a manager over the finances that He gives you. Budgeting is the first step in managing your finances in a fashion that please God. God’s best is for you to be out of debt. Thanks so much for reading! I pray this inspires you to explore God’s plan for your finances.